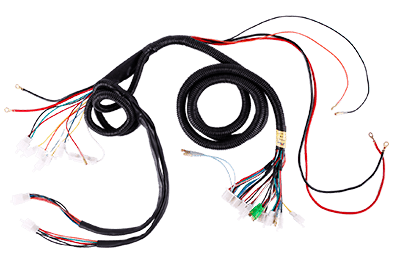 The vehicle wiring harness is a set of wires, terminals, connectors, relays and other combinations of wire assembly, is connected to the entire vehicle data or power supply base connectivity systems. QL-Custom Technology Ltd supply customer’s OEM service base on complicated drawings or a sample. Our purchase including JST , Molex, Tyco, Delphi, Deutsch and Yazaki brand connectors and terminals for a full set wiring manufacturing in house. 1. Quote in 24 working hours. 3. Connectors purchase and wire harness assembling. 4. Wiring Testing and Visual inspection. 5. Small batch q’ty or Large volum mass orders. 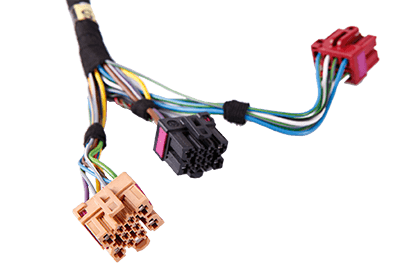 QL-Custom’s provide reliable multiple-function wire looms, durable split loom pipes is a wide range of application on wire harness, cabling and home applications. Split looms are very effective in almost any environmental and are very easy to install. Particularly in automotive engine around wiring ,this plastic tube provides a simple and effective way to route and protect a variety of cable / wire assemblies and harnesses not damage by metal and high temperature. If there are multiple wires connected to the device, the lead connection is very convenient. If there is only one cable in the box, it is easy to electrically connect to the equipment in the electrical box. In order to facilitate the connection, usually ends processing for the twisted wire tinned, connected to the box when the solder and lock screws can be handled by the other one is a separate relay or banana plug. AVSS in the mechanical and electrical aspects of vinyl chloride mixture has a good application, insulation can be thin-walled, multiple stranded conductors together with good bending, and has excellent fire resistance, heat resistance is also very good, usually used for automotive wiring harness assembly , AVSS is the Japanese standard, so used in Japanese cars more widely.